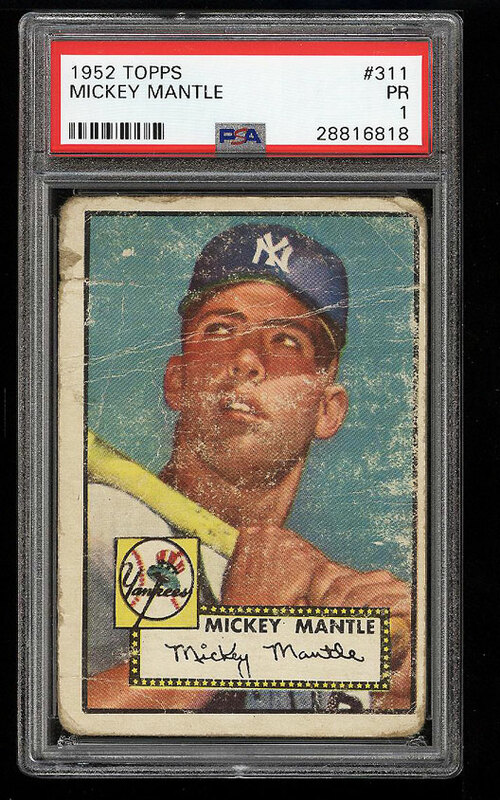 **Auction #3, Round 2** An immensely popular Mickey Mantle Topps rookie in PSA 1. The offered specimen retains a nice image of the legendary Yankee with nice color and clarity showing. 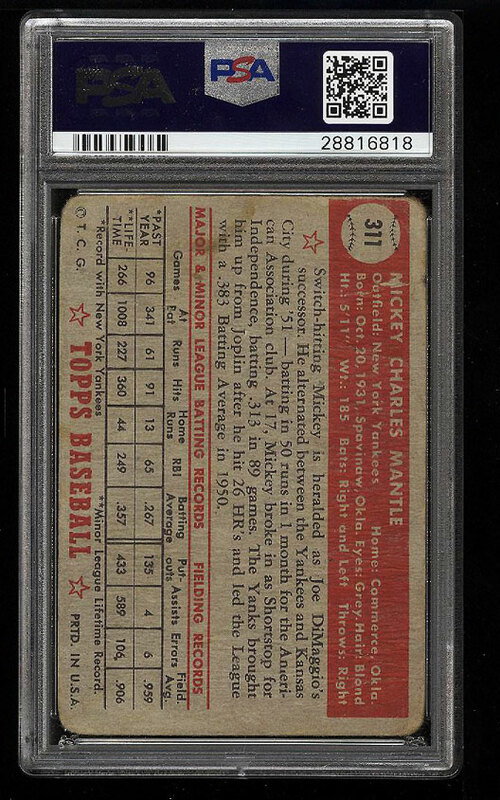 Mantle is widely considered the greatest switch hitter of all-time and is perhaps the most collected figure in the hobby. A popular investment caliber card which is worthy of attention. One of nearly 15,000 cards, lots and sets up for bid in our 3rd Auction of 2018. Click on the link above to view the other PWCC auction lots.